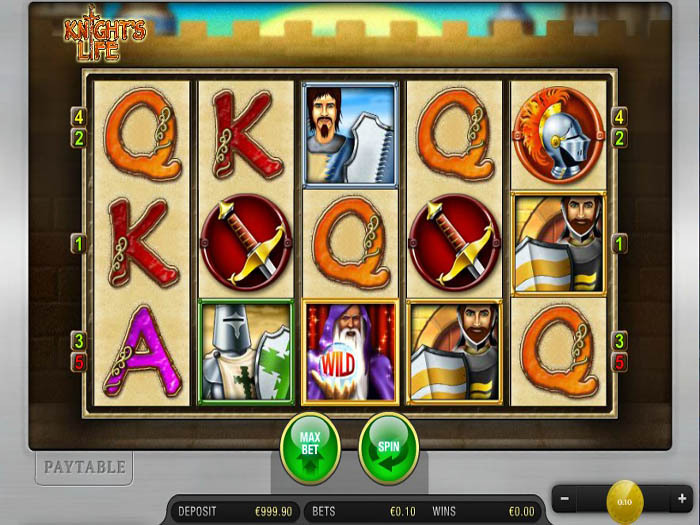 Knight's Life Online Slots is a medieval themed video slot game that is powered by none other than Merkur Gaming. Merkur Gaming is certainly one of the promising names in the gaming developing industry that powers some of the biggest casinos with games such as Jackpot Paradise and Mr. Green. Players can get to enjoy this marvelous game for free right here with an unlimited number of spins and without having to make any deposits, which is not a surprise since freeslots.me is well known for its high quality collection of games that brings players all of the newest gaming titles in the market. Knight’s Life is a medieval themed slot, which is apparent from the name that the developer has chosen for the game. This is why player will enjoy a time traveling gaming experience that will take them back in time to the glorious days of kings and knights, the medieval time period. Players will get to rub shoulders with the knights of that era. The game offers that exciting experience through its 5 lines and 5 reels. The game creates this exciting environment through the game’s visuals. This is why players will see a lot of medieval themed symbols spinning on the game’s reels and lines. These symbols include a shield, an armor, a helmet, a sword, a knight and royal card symbols that come in wonderful designs that fit the theme that the game is trying to convey. All of these medieval themed symbols have plenty of payouts in store for players. They can check all of them at the game’s paytable that can be viewed by simply clicking on the paytable button under the reels. The highest paying icon that the video slot has is the Wild Wizard. 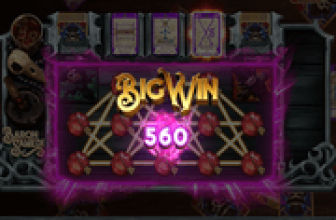 Getting 5 of these symbols on the same lien after placing the biggest payout will trigger the highest line payout that the game has to offer. 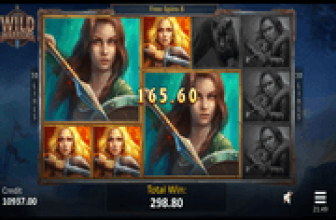 The wild Wizard can also act as a wild icon that has the ability to substitute other icons on the reels of the game, except other special bonus icons, to give players a higher chance of creating a winning combo and earn a payout. Apart from that, it would also double any payouts that it helps in creating for lucky players. The game’s other special icons include the scatter horse. This scatter horse has a lot of scattered pays that it can offer to players. It can also trigger a number of free spins on the video slot machine. The amount of these free spins depends on the amount of scatters as players can earn from 6 to 10 spins. All wins during the free spins will be multiplied by a 2x multiplier. Also, all 3 knights will act as wilds during the free spins round to give players better chances at getting paid. Knight's Life Online Slots is a 5 line 5 reel slot game centered around medieval times and features heroic knights, awesome bonuses, and an exciting free spin multiplier. Check it out today!